The Hamilton Beach 67750 is a 2-speed 800-watt juicer. You probably won’t be blown away by the appearance of this little juicer. It doesn’t have the beauty of the Breville BJE510XL. This budget juicer isn’t the most powerful. It doesn’t have all of the smart technology and thoughtful design of other juicers. It does however have a very powerful value proposition. This low-cost juicer could be perfect for the natural juice enthusiast on a budget. 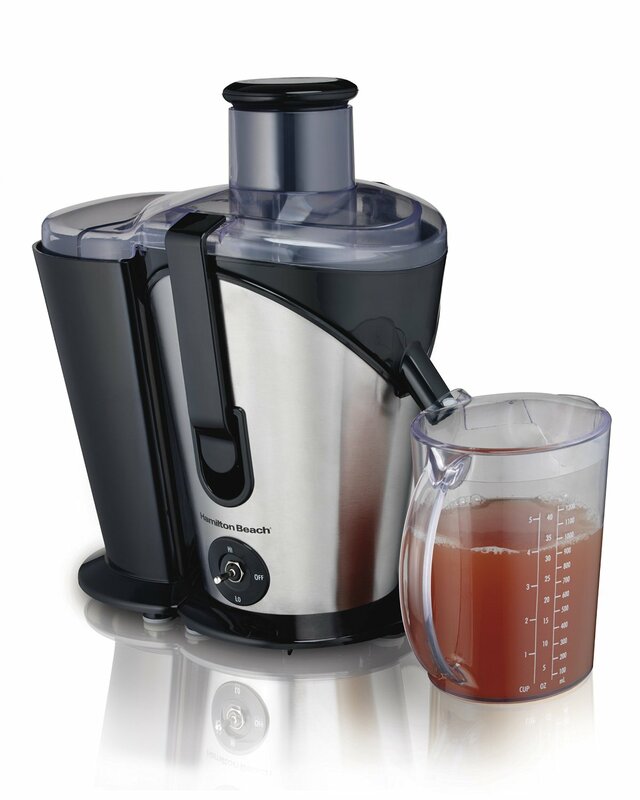 The Hamilton Beach 67750 has two speeds (A single speed model is available) for more control over your juicing. The 800-watt motor is pretty significant at this price range. This is certainly good enough to get the job done on those tough fruits and vegetables. The pulp bin is quite large. This allows you to juice longer without having to stop and empty out the bin frequently. Although I personally never recommend it, the removable parts are dishwasher safe. The chute is large enough for you to put in large pieces of fruit or whole fruit. 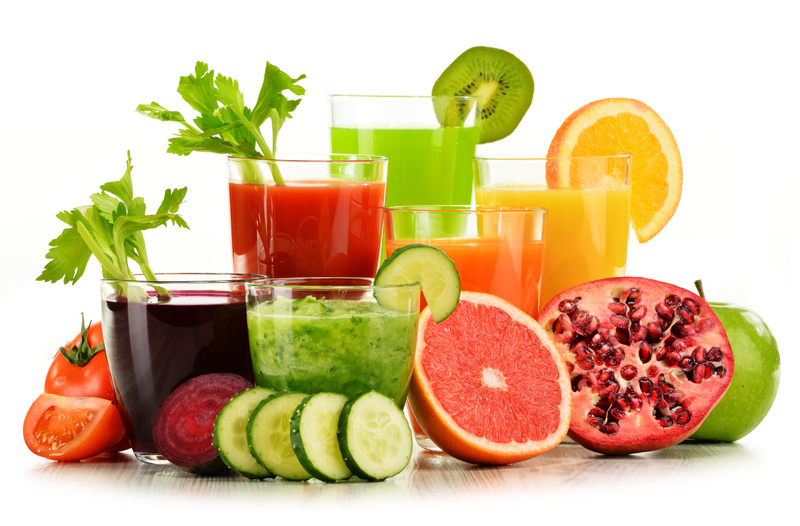 The benefit is less prep time, easier and faster juicing. Understand that this is a budget priced blender. That doesn’t mean that you shouldn’t expect it to work well. But you wouldn’t expect Lexus performance from a Toyota, would you? This machine seems to be durable. I was pleasantly surprised to find that some customers had this juicer for years and it’s still working well. The warranty is a 3-year manufacturer’s warranty. What Do Customers Think About the Hamilton Beach 67750? The Hamilton Beach 67750 had many reviews . There was a variety of reviews for this entry-level juicer. Many customers reported that they were very happy with this juicer. Below you will find some of the specific things that stood out in the customer feedback to me. I came across a few telling reviews that stood out to me. Those few reviews said the juicer broke down after years of daily heavy use. For some, that might seem short, but not to me. I see this as a testament to the long-term durability. Getting years of consistent performance out of an inexpensive machine that received heavy daily use is pretty good. Another review stated that the Hamilton Beach 67750 “compares favorably” to the more expensive, compact Breville BJE2000XL: specifically in that it is easier to clean, and creates “smoother” juice that has a “better” mouth feel. Overall, this seems to be a good juicer option, especially given the price. There are a few reviews that claimed that the Hamilton Beach 67750 didn’t live up to their expectations. A few customers said it left chunks of carrots and spinach in their juice. Another said that it spatters juice everywhere. The most concerning was a couple of customers that complained that the parts don’t fit together very well. This causes juice to fly everywhere because the pieces do not fit together flush. Some owners complain about the noise level that this juicer model produces is too much. A lot of these problems seem to be defects. This happens. No product is perfect and without complaints. The Hamilton Beach 67750 is a budget blender with consistent performance. Despite a few concerns, this a good buy given the overall value including the warranty and performance. The 3-year manufacturer’s warranty is quite impressive, especially when you consider that the more expensive Breville juicers have a standard 1-year warranty. Roomba 960 vs 980: Which is Best for your Kitchen & Dining Areas…? Cuisinart CBK-100 Review – Best Bread Maker to Buy…? 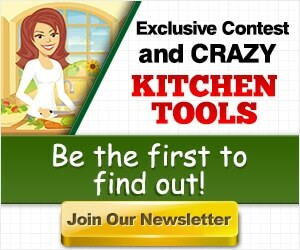 Yourbetterkitchen.com is a participant in the Amazon Services LLC Associates Program, an affiliate advertising program designed to provide a means for sites to earn advertising fees by advertising and linking to Amazon.com.